Good News! Resident's in Hortense, GA have better than average speeds, prices, and coverage when compared to the rest of Georgia. You should have a range of ISPs (Internet Service Providers) to choose from with a number of plans and prices to meet your needs. Hortense, GA has a total of 7 Internet providers including 2 Cable providers, 1 Copper providers, 1 DSL providers, 5 Fiber providers, 1 Fixed Wireless providers and 2 Satellite providers. The table below shows the available plans and pricing for HughesNet in Hortense, GA. The table below shows the available plans and pricing for Exede in Hortense, GA. The table below shows the available plans and pricing for XFINITY by Comcast in Hortense, GA. The table below shows the available plans and pricing for AT&T U-verse in Hortense, GA. The table below shows the available plans and pricing for Windstream Corporation in Hortense, GA. 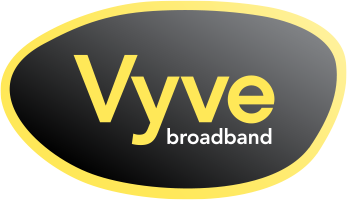 The table below shows the available plans and pricing for Vyve Broadband in Hortense, GA. The average cost per month for internet in Hortense, GA is $51.01. There are 7 internet providers in all of Hortense, GA.
Hortense, GA offers the highest speed of 2,000 mbps with XFINITY by Comcast. The lowest price for internet in Hortense, GA is $19.99 with XFINITY by Comcast. Hortense, GA is located within Brantley county.